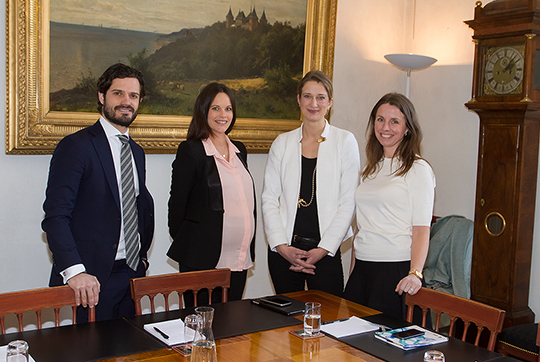 Today Princess Sofia and Prince Carl Philip met with Christine Grahn, the Public Policy Manager of Facebook Sweden. This meeting was set up by their foundation, the Prince Couple's Foundation. Joining them was their foundation's director Sofia Ewerlöf. I suspect they were discussing what the Prince Couple's Foundation could do in the area of Cyber Bullying- but no information was released to confirm that. 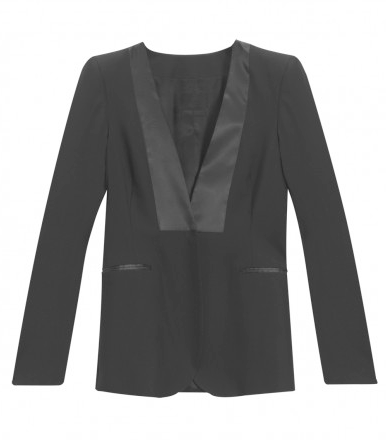 Sofia wore a black blazer over a pink button down shirt. If she wasn't pregnant I might suggest her jacket is from Filippa K but I don't know if that jacket could fit her at this month in her pregnancy. Still I am going to include it below as a possibility. UPDATED: Prince Oscar Carl Olof!